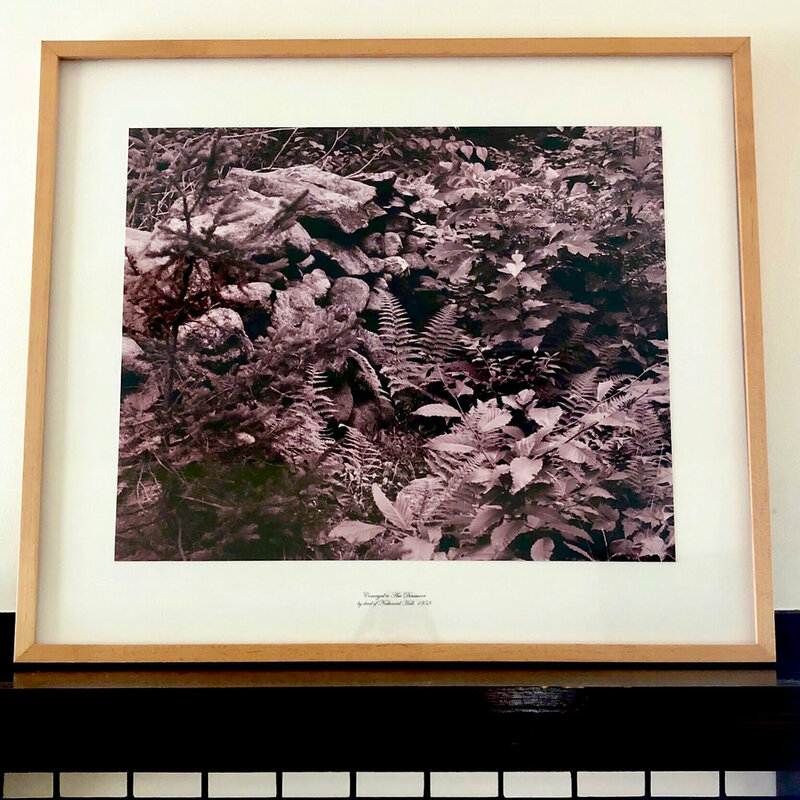 In THE GROUND, ground is the basis for a belief or argument and it is the surface we stand on – the earth or soil – and it is the surface for artmaking. It is the foil to the figure in the figure-ground structure. Paintings and drawings are described as happening on a ground; in etching, the ground is a waxy surface that protects the plate from acid. In photography, we look to the foreground, middle ground and background. The artists’ work in this exhibition negotiate the meaning of surfaces and what lies below. 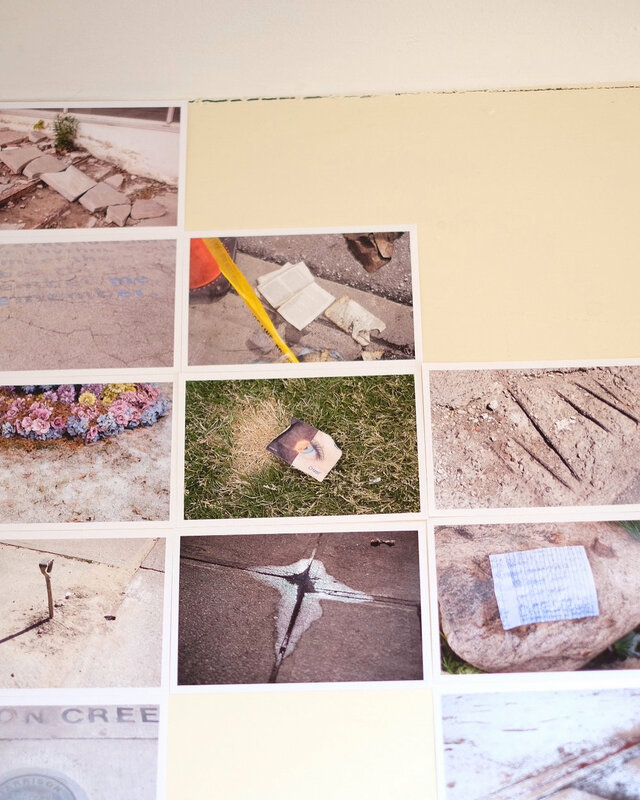 Allison Smith's tiki torches question expectations about turf and home-ground. A recent symbol of the 2017 white nationalist rallies in Charlottesville, Smith's torches are cast with paper pulp and skewered with every sort of lapel pin, all designed to take the place of actual political engagement. Deborah Bright’s photograph captures the remnants of a stone fence delineating property lines in New England. A custom mat indicates the deed of transfer between colonial Europeans; by omission it reminds us of the indigenous peoples from whom the land was originally taken. Leo Hsu traces an underground river in Toronto, challenging the viewer to look into photographs of holes and grates and believe what they can't see. 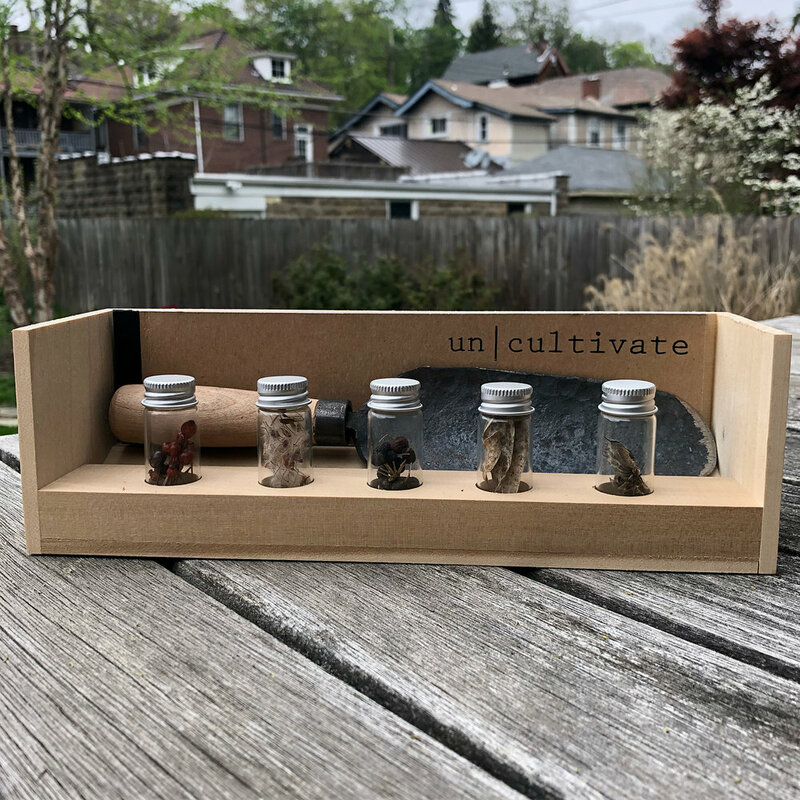 In (Un)Cultivated by Addy Reiman-Smith + Josh Reiman, a box with a hand-wrought trowel, wild seeds and a book details the pitfalls and benefits of planting them. 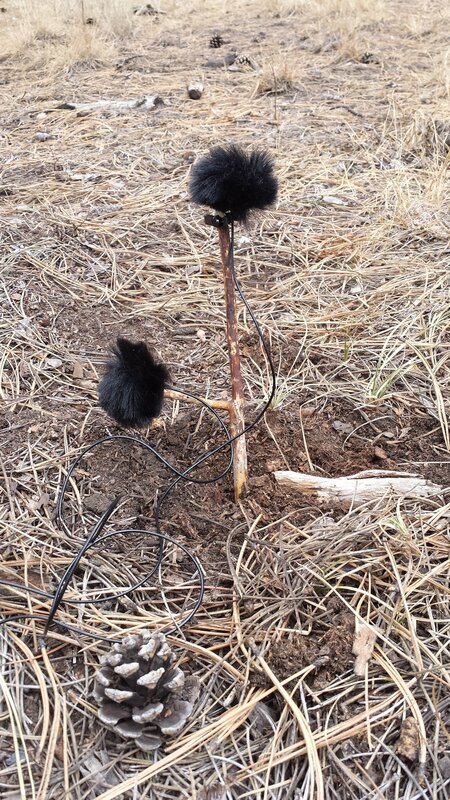 Ben Kinsley’s ambient binaural sound piece recorded a mushroom's perspective at his secret lobster mushroom spot in Colorado Springs. Alex Lukas maps the ways that people inscribe their names in trees, cacti, and on rocks in a series of Risograph ‘zines – nature-altering gestures that say, "I am here." Ross Mantle’s photographs follow the path of a treasure hunt, finding on the way aggregate, roads, and holes in the ground; the series titled misplaced fortunes implicitly questions the nature of both place and fortune. Erin Mallea's photographs and performance take on the ways humans change the ground even temporarily. 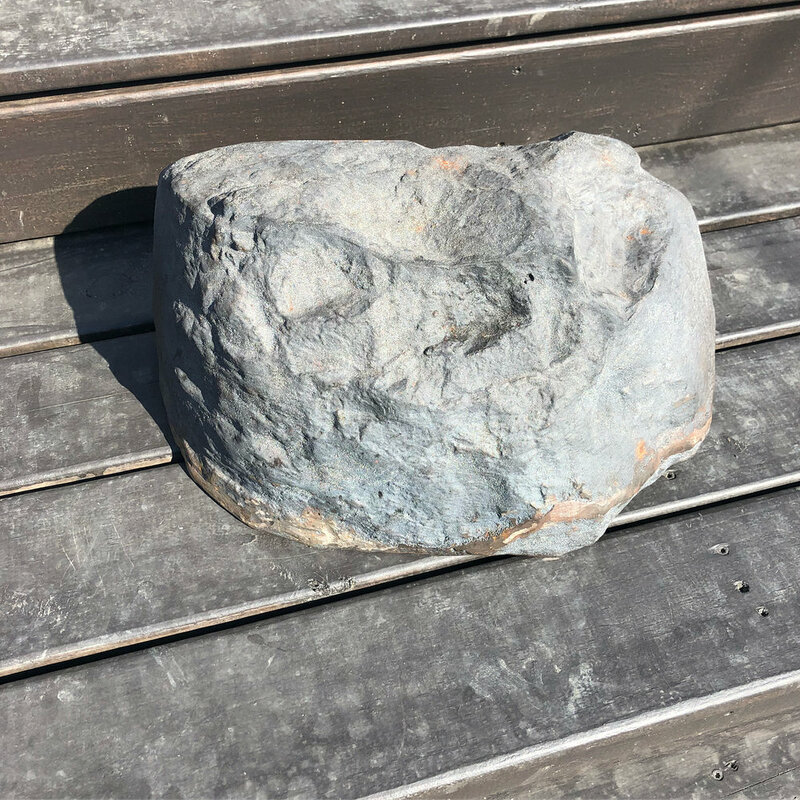 Adam Milner's cast iron rock is a replica of an a fake Italian rock used in window display. Brandon Boan responds to artist Charles Ross’ unrealized monumental earthwork Star Axis with table-top sized ceramic pieces that entwine mesh, earthenware and a large crystal. Emily Newman recreates Ice Station Zebra, featuring children aboard a cardboard submarine, instead of the arctic cold-war spies originally in the feature film. Valerie Hegarty challenges the history of landscape painting by piercing it's surface: in this digital print – a copy of a painting of an Arthur Durand landscape, a pileated woodpecker has poked holes in the pastoral view. Dana Clancy’s ink painting records the way a plant’s shadow might fall on the ground, a mirror of the painted ground. The hand-woven linen surface stretched across a hand-made stretcher bar by Frances Trombly gives the viewer a close look at the weave of what might normally be covered with paint. 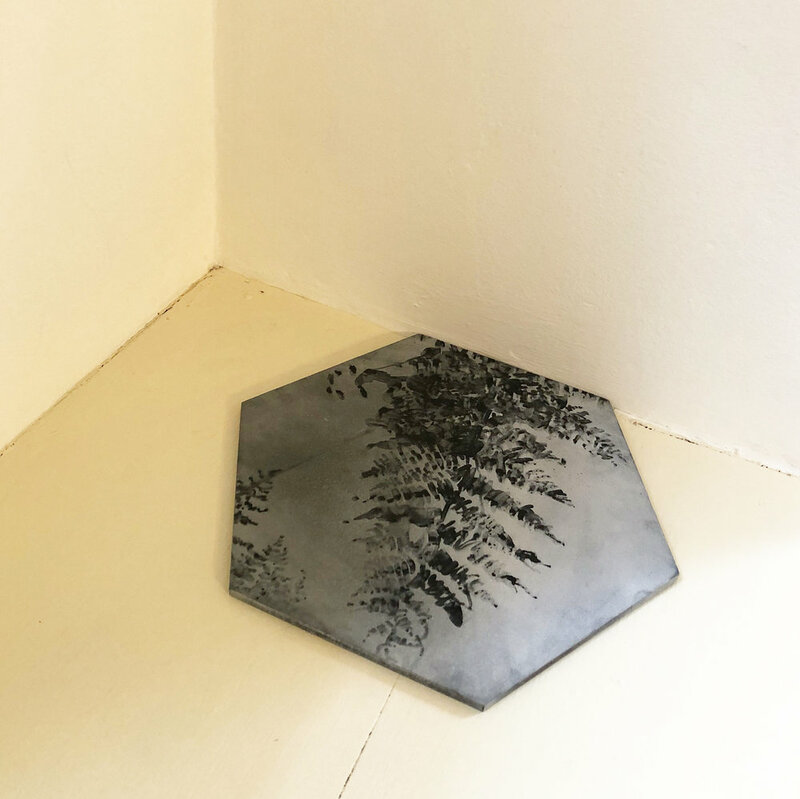 Gwenessa Lam's delicately rendered graphite drawing records an arial view of Flotilla Flotilla taken from Google Earth, the image dissolving into texture as the source image itself falters.